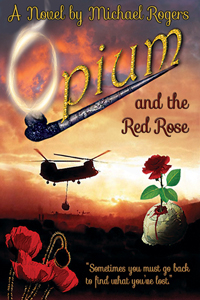 Inspired by true events, "Opium and the Red Rose" is a fictionalized account of a Vietnam veteran's journey back to Southeast Asia in the early 80's as part of a dangerous undercover operation devised by a U.S. Senator to secure and destroy one-fifth of the world's opium crop. Masquerading as a documentary film crew, Danny Summers and his team head into Myanmar to carry out the senator's objective. This is to the consternation of both the DEA and the CIA, who would prefer to see the project fail, since it would expose their culpability with regard to certain courses of action taken during the Vietnam war. If the team succeeds, it would be a huge game changer in the war on drugs. If they fail, they would all be destroyed. This novel contains adult content and is for mature audiences.